The following 6 pictures show common roofing issues that occur to roof tops that have not be properly checked on or maintained. By continuing to avoid or overlook these issues, an expensive roof repair project can be in your future. The good news is, if they are addressed and properly fixed, you will save yourself a lot of time and money. 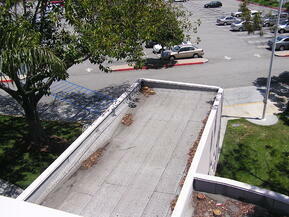 Check out our article "Can My Roof Benefit from a Roof Maintenance System?" Ponded Water: Ponded water leads to delimitation, blistering, peeling and compromised adhesion of the roof system to the buildings substrate. This issue needs to be fixed immediately. To remedy ponded water, the AcryShield SPF Roofing System allows you to create a custom slope in areas where ponded water typically occurs, allowing the standing water to flow towards proper drainage. Large Blister: Blisters occur because of several reasons, including: adhesion issues, ponded water, an aging membrane and more. This is another issue that needs to be fixed immediately as water penetration is likely. Contact a Roofing Professional with zero obligation to determine your next steps to restoring your current roof. Debris from Overhanging Trees: It is necessary to cut back branches that hang over the roof top because they can cause abrasions to the surface of the roof and leaves and branches can clog drains and create ponded water issues. 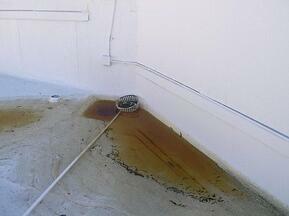 It is important to ensure the roof is clean and free from any debris. 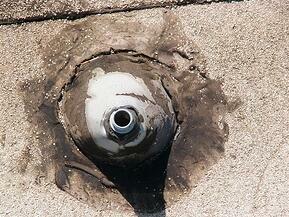 Mastic Cracking at Pipe Jack: When seals are failing and not functioning as designed, water penetration can occur. All joints and flashings need to be inspected to ensure seals have good flexibility (not brittle), adhesion, and water resistance. 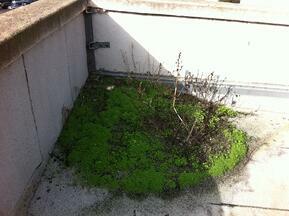 Plant Growth: Weeds, trees, and plants can grow out of the smallest cracks on your roof. Carefully remove any form of plant growth immediately as this can cause several issues including: improper drainage, damage from roots, inadequate adhesion, ponded water, etc… Do not pull or yank the plant from the roof as the roots may have penetrated through the surface and this could cause even more damage. 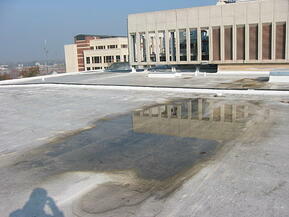 Contact a roofing professional if you think this could be the case for your roof. National Coatings is here to help you. 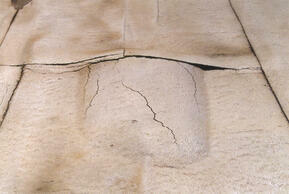 If your roof has any of the above issues, contact us. We will provide you with a cost savings solution that will allow you to restore and maintain your current roof without any business closures or disruptions. For more information, download our Free Systems Brochure.